The City of London’s role as the beating heart of global financial markets has been established over decades and remains intact despite fierce international competition and globalisation. The recent edition of commercial think tank Z/Yen’s Global Financial Centre Index again placed London in first spot, just ahead of New York. Rankings are based on business environment, human capital, infrastructure, financial sector development and reputation. Increasingly central to London maintaining its influence as an international financial hub into the future is the City’s status as a hotbed incubator of fintech. The UK fintech sector is booming. The massive £9.1 billion takeover of British payments processor Worldpay by US rival Vantiv helped the sector attract more investment than those in the US and China during the first half of this year, according to research by KPMG. For comparison, in 2017, just over £800 million was invested in London-based fintech start-ups. Throw in the advantageous time zone between US and Asian finance hubs, open-minded regulators, technical talent and a receptive consumer market. The City is also at the forefront of Islam-compliant fintech, a rapidly growing market with the world’s Muslim population set to grow to 3 billion from less than 2 billion by 2060. According to Bloomberg Intelligence, only Malaysia has more significant Islamic fintech start-ups than London. That synergy between tech, investment capital and politics was demonstrated recently through the announcement of a new UK government Fintech strategy. A new ‘FinTech bridge’ with Australia and a £7.5 billion public-private fintech investment fund were among the measures unveiled to maintain London’s position as the “global capital of (finance), fintech”. Divido is a retail finance platform that enables companies to offer instalment payments to their customers online, in-store and over the phone. The platform connects to multiple lenders to deliver higher acceptance rates and lower fees for multiple finance products, from 0% interest to guarantor loans. The company was founded in London in 2014 by a trio of Swedes, and has gone on to raise a total of £14.3 million, including $15 million (£11.4 million) from a September 2018 Series A round led by Dawn Capital and DN Capital. The cash injection will help Divido continue its global expansion into 10 more countries by the end of 2019. Blockchain was founded in 2011 and is headquartered in London. Having successfully raised investment of $70 million from some of Silicon Valley’s biggest VCs, as well as names such as Sir Richard Branson, the world’s biggest Bitcoin wallet provider can lay claim to being one of the UK’s biggest fintech companies. The company describes itself as being ‘the world’s leading software platform for digital assets’, supports over 23 million cryptocurrency wallets and has facilitated over 100 million transactions. Blockchain also has an enterprise solution to help businesses accept Bitcoin payments. Finimize is a financial planning platform designed to give millennials an affordable alternative to financial advisors. Users create a financial plan by answering questions about their position, setting goals and then selecting from a range of saving options. The London-based startup was founded by Maximilian Rofagha, an economics graduate, and has raised £450,000 from a seed funding round led by Passion Capital. London fintech startup Paybase provides an end-to-end solution for payments, compliance, and risk into one unified API. Paybase was founded in 2016, following the launch of its Payfriendz app in 2013. It is mostly suited for marketplaces such as sharing economy and crowdfunding sites together with fintech apps and products that may have complex payment requirements. As a fully licensed eMoney Institution (EMI), Paybase offers its platform together with the Payfriendz app. Former CEO Nick Hungerford founded Nutmeg to make investments accessible as an online platform. Nutmeg acts as an online wealth manager from as little starting capital as £100. It charges a 0.75 percent fee for investments up to £100,000 and 0.35 percent beyond for fully managed portfolios. For fixed allocation portfolios it charges 0.45 percent up to £100,000 and 0.25 percent beyond that. When you register you tell the platform what you are saving for and how much risk you want to take before being presented with a portfolio that you can check in on 24/7. The investment decisions are made by the Nutmeg team on your behalf without the use of algorithms. You can withdraw your money whenever you want with no exit fees. Tide is a fintech startup focusing on business customers. Business banking is notoriously antiquated and time-consuming, so Tide has created a set of tools to try and help small business owners with their banking. Customers can get started straight from their mobile by scanning an ID and will be sent a Mastercard to use for business transactions. Tide also provides a set of digital tools to help simplify some of the more time-consuming aspects of business banking. This includes automated bookkeeping, expense tracking with the ability to attach notes, incomes and photos to each transaction, and automated invoice scanning. Your money will be held by Barclays but it won’t be re-invested by the bank. Tide also charges lower fees than normal business accounts, with no account or card purchase fees, 20p per transfer and £1 per ATM withdrawal. Tide raised a Series A of $14 million (£10.8 million) in July 2018 led by Anthemis and Creandum and joined by Passion Capital and LocalGlobe, both of which backed Tide in its $2 million (£1.6 million) seed round. 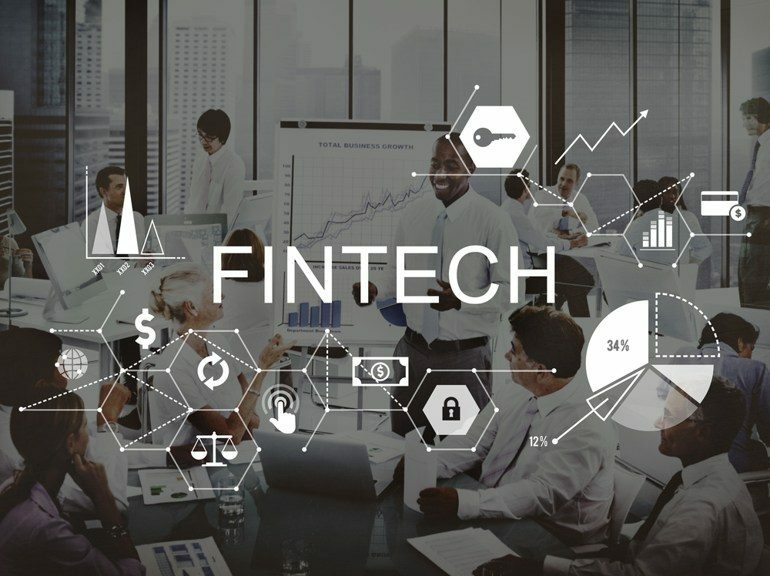 There are so many London-based fintech businesses that are already successful with hundreds more that hold rich promise, many of whom will rise to prominence in coming years. From challenger banks to tech and infrastructure solutions; Regtech, Insurtech and the democratisation of finance P2P platforms, London is brimming with great fintech startups and growth companies. If this small sample is anything to go by, the City of London’s position as the world’s most important financial centre appears to be in good hands. Of course, mentioned above start-ups are not the only ones we should pay attention at. It’s impossible to cover them all at one article. However, if after reading this, you will have a feeling of understatement, please write at the comments what other companies worth to be at list. 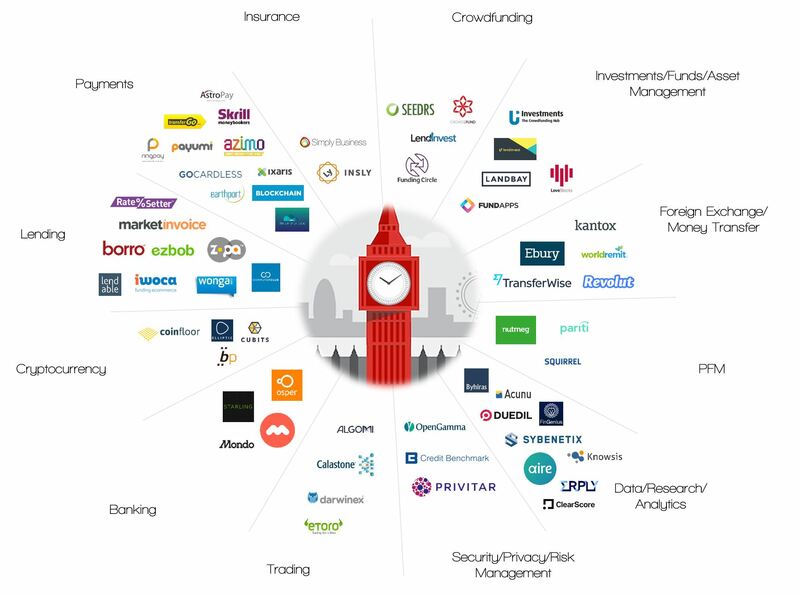 Will be interesting to know more about new players on a UK fintech field. Previous postWhat is Mob Programming?